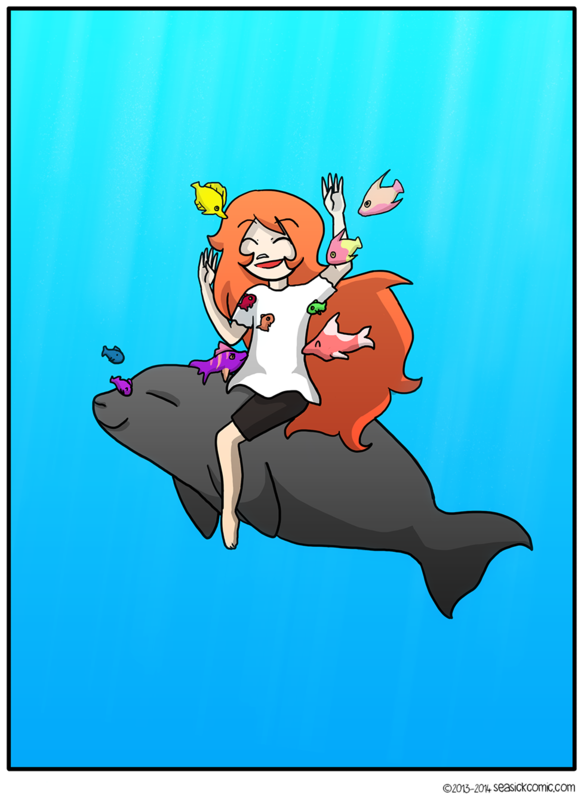 Chapter One – Page Six – Seasick – The Underwater Adventure Comic. Updates Fridays! on January 29, 2014 and modified on January 28, 2014. Every time I read a webcomic and it has a one panel update, I get this feeling of impatience…so, sorry for inflicting it on you! I understand why they do it now, though. Besides, Mina is the other main character. She wouldn’t like it very much if her introduction wasn’t drawn out. Enjoy!